Custom built luxury home in Island Green in Sandestin Resort. This was the former home of both famous chef, Emeril Lagasse and award winning Interior Designer, Susan Lovelace. This home features outdoor living with a heated pool and hot tub on the Golf Course. This home is in a Flood Zone X (no flood insurance required). Winner of a Grand Aurora and Aurora Awards for Energy Efficiency; APEX Awards in New Construction, Interior Design, and Energy Efficiency. 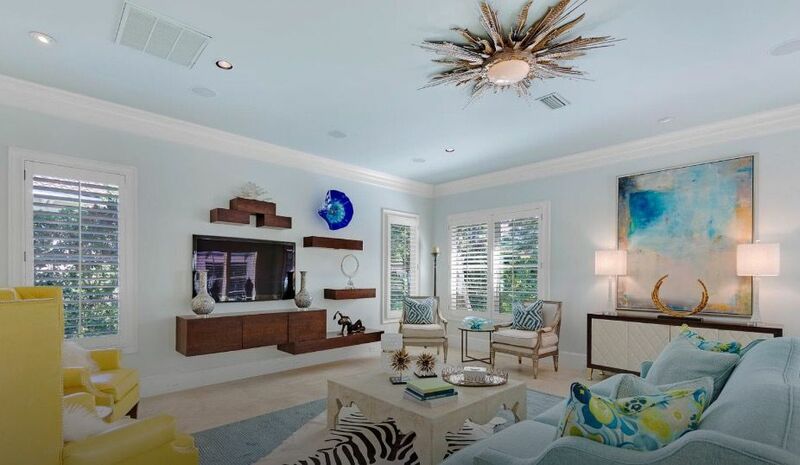 This Emerald Coast Concept Home features the latest trends in design, decorating, and building materials. Energy efficiency is the overriding theme throughout this home. Geothermal heating and cooling system, a two level pool, the latest trends in plumbing fixtures, appliances, tile, Lutron lighting and flooring.